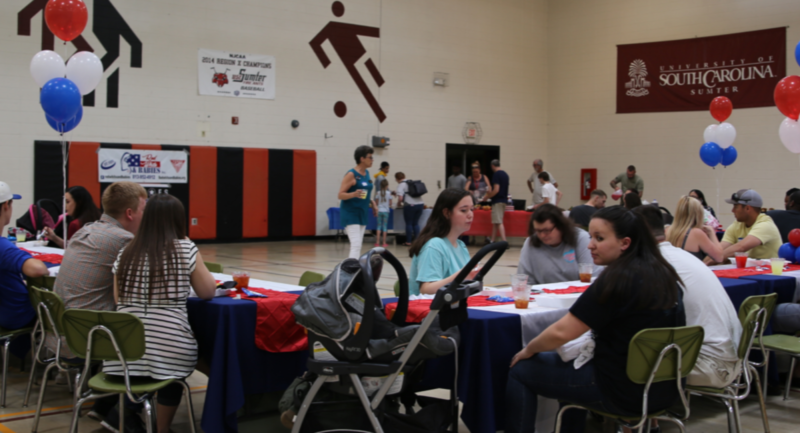 On the 26th of May, at the USC Nettles Gymnasium in Sumter SC, we had our 8th Red White & Babies Shower for 17 military families and 1 First Responder family. We were also blessed to have 2 sets of grandparents and an aunt of one of the moms in attendance. 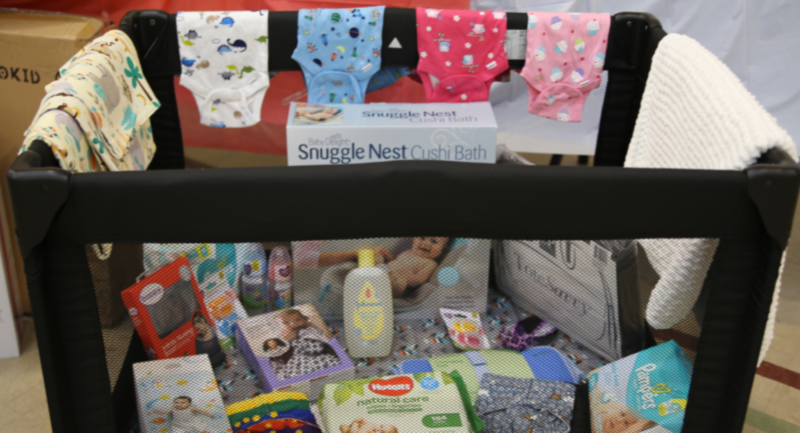 Many sponsors gifted us with their products and all participants left with all kinds of goodies for themselves and the babies. It is guesstimated that over $5000.00 worth of gifts were donated. Without your support and generosity, we would not be able to do this. Thank you to all of our sponsors listed below! A very special thanks to our photographer, Jennifer Kaylor (Bella Grace)and most especially, our volunteers. We can’t thank you enough for your support, time and energy. 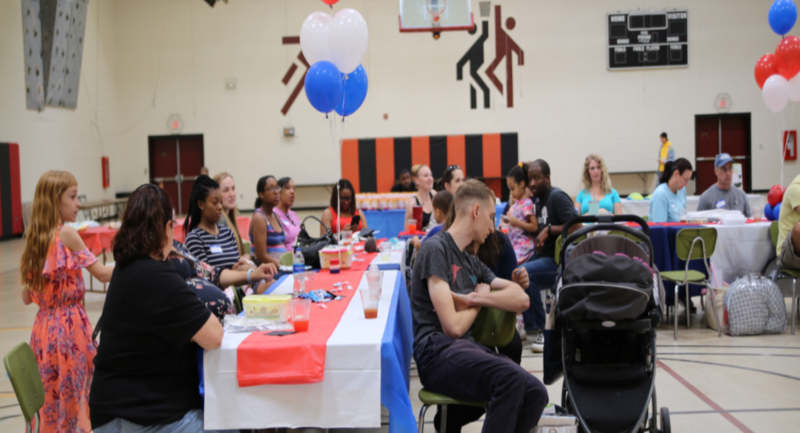 Red White & Babies is in the process of planning for our next event in November 2018 and we look forward to offering another successful event. A final Thank You to our Military and First Responder Families for all you do! A most grateful Thank You to our sponsors of the May 26th event: USC-Sumter (event location), Pastor Mike Westmoreland-Sumter Baptist Church (Invocation and blessings), Dupre Catering & Events (food,drinks and utensils, Devine Party Planning & Pinky LaRue’s Bake Shoppe (decorations and cake), jojoandizzy (plates and placemats), Boba (wraps), dockatot, B-Box (bibs & spoons), mam (bottles), Soft-star (shoes), Ethan&Emma (stroller organizers), Sweet&Swag (gift certificates), Modern Burlap (blankets), Healthy Mom (vitamins), Ikiki (shoes & hats), ceecee&ryan (diaper bags), Fawn Designs (backpack diaper bags), The Boppy Company (baby Boppy), Mancrates (dad tactical bag), Triokid (baby doll & strollers), B-free (colic free bottles), Baby Merlin’s (Magic Sleep Suits), Ergo Pouch (ergo cocoons), Baja Baby (baby lotion), Bumkins (gift pack), Stuck on you (birth announcements), Glow Bugs (diapers), Baby Delights (bottle set), Covered Goods, Ms Barbara Baim (handmade blankets and burp clothes) and Ms Amy Dailey & Ms Carrie Lynch (porta-crib loaded with baby items from fellow couponers). 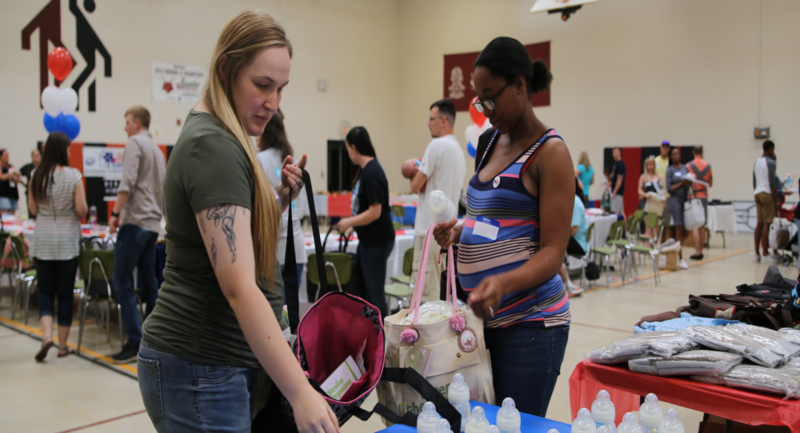 Without all the wonderful support and generosity of each of you, Red White & Babies could not do what we do and our families would not benefit from your love and dedication to them. Please feel free to tag Red White & Babies on our media sites!